Part slapstick-comedy – new territory for the director – and part a keen study of Yazd’s dynamic local culture, Mirkarimi continues his trend of portraying reticent leads and religious figures with ease. A bitterly enjoyable experience and endlessly rewarding on rewatches. As Simple as That could be the title of any Mirkarimi film, but the structure of this one truly embodies the phrase; a sparse narrative of seemingly no propulsion, with one late, low-key but hard hitting revelation. Minimalist storytelling of the highest quality. Mirkarimi’s archetypal silent anti-hero feels lonelier than ever out in the desert. A challenging parent-child relationship made all the more complex by feelings of personal and national guilt. Also, one of the great film endings, to boot. A rare, revisionist look at Islam and the untouchable concept of doubt amongst clergymen, Mirkarimi’s strongest feature reveals more layers of complexity upon every new screening. A meta-cinematic experiment that expands the limits of possibility in the medium. Panahi’s rich, shape-shifting, formally impressive film is quite possibly his best film and the best of 2014. The Congress oscillates between the good and the head-scratchingly awful, often in a matter of minutes. It appears, quite literally, to be the work of a genius on an acid trip, without an editor. Canopy is a work of minimal, expressionistic storytelling whose unconventional dramatic beats inject fresh blood in a tired genre. Jealousy is completely occupied with gorgeously packaged, chic Parisian archetypes that remain utterly impenetrable for those looking from the outside into this self-contained, clichéd universe. Panahi’s biggest achievement in narrative cinema, The Circle‘s smooth and, naturally, circular, navigation of women’s issues is structurally impressive, emotionally powerful and an essential piece in the canon of Iranian “social cinema”. A remarkable visual treat, Golestan’s observational documentary about a fire breaking out at an oil refinery in the south of Iran is an outstanding achievement in cinematography and a valuable piece of Iranian history. Expert filmmaking on every level. Tense and twitchy in the most unexpected moments, subtle and effective in handling expositions, and incredibly intelligent in challenging vague notions such terrorism and international safety. Although a lesser film than Panahi’s directing debut, The Mirror is an indicator of the filmmaker’s evolving voice taking a more persona shape and gradually departing from Kiarostami’s towering influence on him. A dialogue between two artists, one behind and one in front of the camera, that is clever, funny, heartbreaking and outrageous. 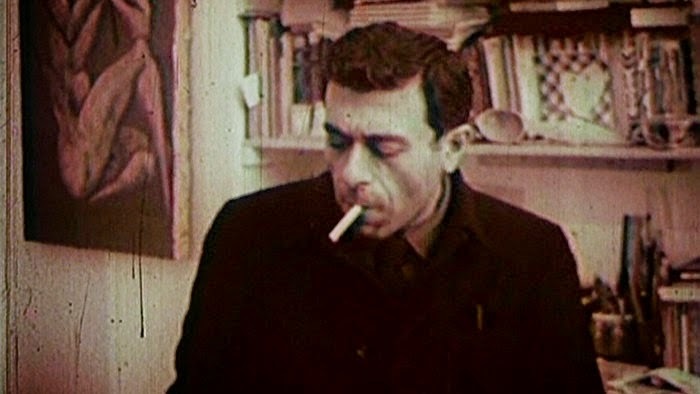 This rumination on the work of avant-garde painter and sculptor, Bahman Mohasses, is a succinct snapshot of the tumultuous and dynamic environment of the world of Iranian contemporary art. At times entertaining, but also consistently meaningless.